Remotely access and monitor the SuperLoader 3 LTO-5HH SAS (8 Slots, 1 Magazine) from Quantum and keep tabs on your LTO storage array to ensure the system is functioning properly. This is accomplished using Quantum's StorageCare Guardian, a software suite that provides extensive access capabilities to carry out diagnostic monitoring from virtually anywhere with an Internet connection. 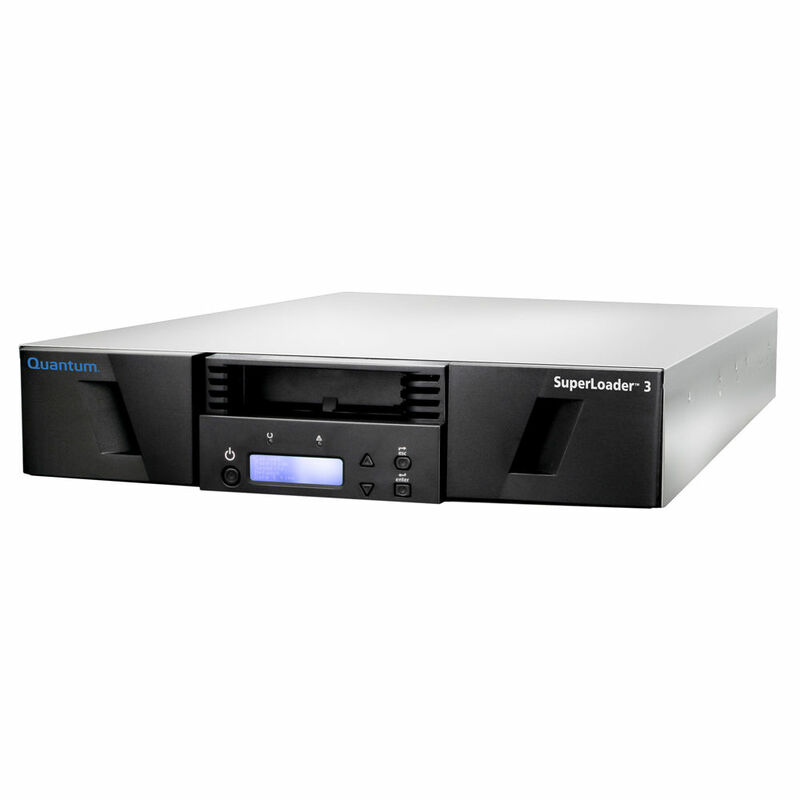 Along with remote monitoring, the Quantum SuperLoader 3 features data deduplication making it possible to store up to 20x more data using the included DATASTOR Shield backup software. Once configured, data can be transferred to and from the SuperLoader 3 at speeds of up to 2.7 TB/hr allowing for quick and easy backups of large system files and much more. With StorageCare Guardian you can take advantage of a remote monitoring and diagnostics tool that proactively monitors your SuperLoader 3 over the Internet and uses intelligent diagnostics to remotely service the unit if necessary. The SuperLoader 3 comes compatible with all major backup software packages, environments, and infrastructures. Reduce data by up to 20x using backup with deduplication. The SuperLoader 3 also comes with DATASTOR Shield backup software for to simplify the process of creating system backups. Access from any web-based browser for remote diagnostics, operations, software upgrades and maintenance. Removable magazine(s) provide fast, easy cartridge access. Take advantage of up to 240 TB of capacity with standard compression, and up to 1,920 TB of capacity with DATASTOR Shield to store large amounts of data.